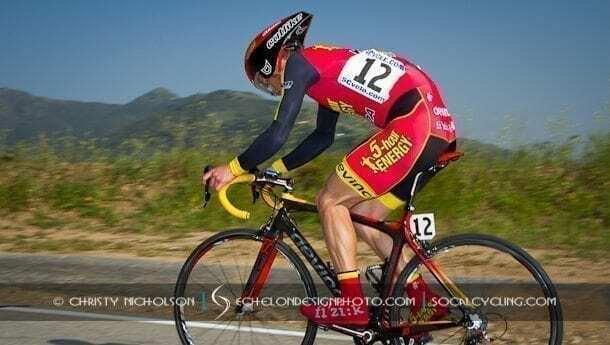 Photo Gallery: San Dimas Stage Race - Time Trial - SoCalCycling.com - Southern California, Cycling, Cycling News, Amgen Tour of California, Bicycle Racing, Fun Rides, Cycling Event Schedules, Mountain Biking, Cyclocross, Cycling Photos, Cycling Videos, Interviews, Product Reviews. The San Dimas Stage Race kicked off with the time trial up Glendora Mountain Road, which climbed 4.25 miles with a total elevation gain of 1257 ft.
Below are some Photo Highlights from the Pro / 1 Men’s races, which saw Phil Gaimon (Bissell) win with the fastest time for the second year in a row. Mara Abbott (Exergy TWENTY16) posted the fastest time in the Women’s race. A full Photo Gallery will be available on EchelonDesignPhoto.com.